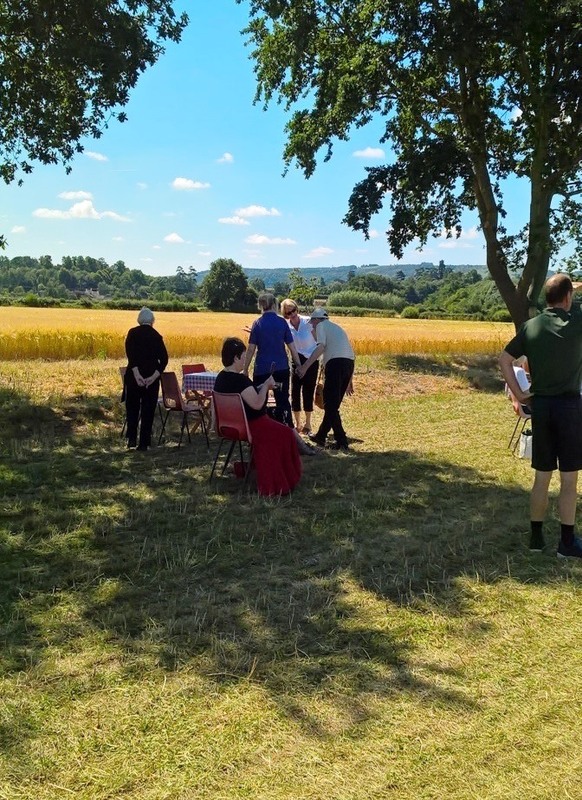 Older people in Worcestershire recently enjoyed a trip to the stunning Worcestershire countryside thanks to the Embrace project, which helps reconnect isolated older people with their local communities. Jane Bamber, the project’s Development Co-ordinator, took a group of residents from a dementia care home to visit Pershore’s famous flower farm on the Wyke Manor Estate. The farm is known for its acres of colourful delphiniums and cornflowers, which are grown in vibrant stripes and patterns before being handpicked to create petal confetti. Jane writes: “What a beautiful day to be able to take a group of amazing people to such a remarkable place! “The owner of the farm, Charles Hudson, was kind enough to invite me and some of the people I have been working with to visit the beautiful flower fields. So on 5th July the group had a lovely day out enjoying the gorgeous, warm weather. 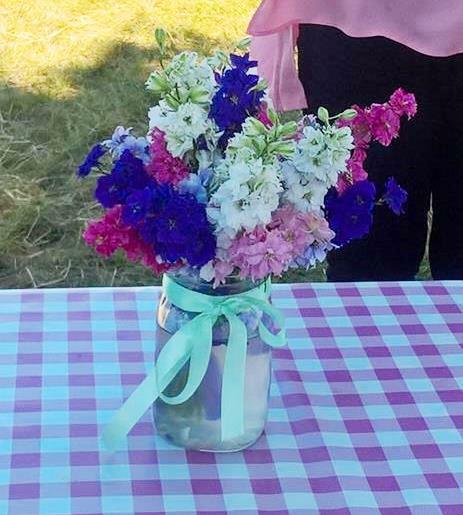 “There was a pop-up café in the field, with a tree-lined path offering natural shade and a most welcome breeze. We enjoyed a cooling ice lolly and a refreshing glass of lemonade after our walk and talk of the fields. “A highlight for me was sharing the day with one of the first Embrace volunteers, who has supported the project since the beginning. Unfortunately, her husband was diagnosed with early onset dementia in his late 50s and has been in a residential home for the last four years. “The home is amazing and the care he receives is second to none, but trips out can be a challenge as it can be difficult to find the right environment that suits people with dementia at different points in their journey. He was able to come along on this trip to enjoy the beautiful scenery as well as spending time with his wife. “For some people in the group it was the first time they had been on a trip out in more than eighteen months. The residential home has a lovely garden and puts on some brilliant activities, but they are keen to do more in the community. “It was a pleasure to see our group being part of nature and sharing in its beauty with the local community. They particularly loved seeing the children playing and having picnics with their families. The flower farm only opens for a limited time in July and visitors are advised to check their website for updates closer to the time of their visit. For more information about visiting the flower farm, go to www.confettidirect.co.uk.